GVK EMRI (Emergency Management & Research Institute) published Walk in Interview notification for recruitment for below mention posts at various centre in Gujarat. You can view official notification given below image. 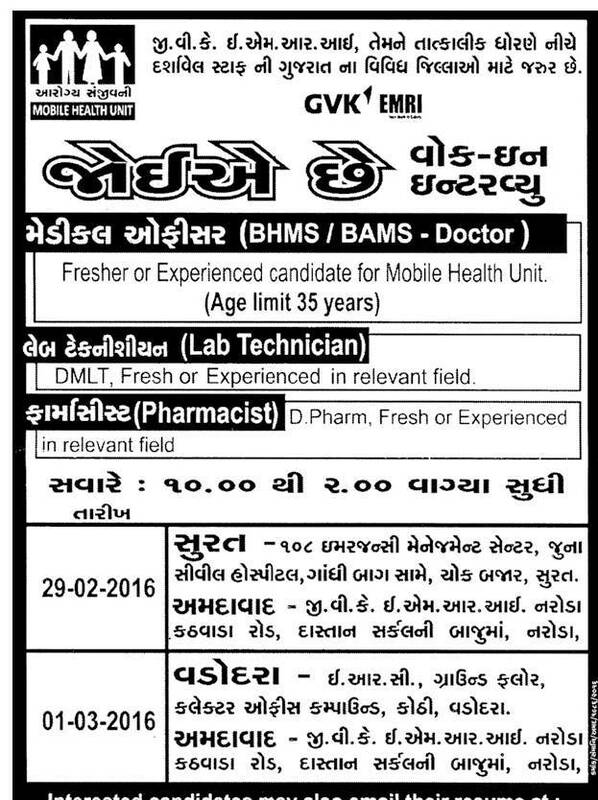 Fresh MBBS Doctor from Ahmedabad Office. DMLT, Lab Technician Course, Fresh or Experienced in relevant field. D. Pharm, Fresh or Experienced in relevant field.